I’ve been playing Dungeons & Dragons for a rather long time. I started with the basic set, played the original and then Advanced Dungeons & Dragons. I mostly missed out on the second edition, but did run a very short campaign using those rules. When 3.0 came out, I got back into the game. When 3.5 came out, I bought those rule books. When I heard about D&D 4th edition, I was somewhat hopeful but also a bit worried. I borrowed a friend’s core rule books and looked them over. My first impression is a mixed one. First, the books have excellent art-a major improvement over the original set. However, the layout looks very much like a text book-plenty of bright colors, lots of charts and so forth. This is neither good nor bad, just a bit odd when it comes to a game. Second, the game reads very much like the hint/guide books for video games like Warcraft. That is, the books present many statistics but are rather short on descriptive text. For example, the spells (if they can be called that now) have very basic descriptions rather than the more robust ones of previous editions. As another example, the monster descriptions are incredibly brief. Each monster includes a few (2-3) blurbs that reflect what a character would know based on a skill check. However, the descriptions are very short when compared to the earlier editions. If you have the earlier books, you can use the descriptions in them. If not, you’ll have an extremely limited amount of information. Fortunately, the pictures are nice. My guess is that either the company thinks that either players do not care about such things now or that they plan on selling content books to flesh out the skeletal blurbs. This change is not surprising. Games like Warcraft (which arose from D&D) are very popular, so it makes sense to tap into their appeal to sell games. I’m not a big fan of this approach, but this probably stems for my preference to have a decent amount of background material and descriptive text to add richness to the game experience. Third, the game is also very much like a miniatures tactical combat game. Since D&D originated from the Chainmail minature rules, this sort of brings the game full circle. While I do enjoy tactical combat, I play D&D mainly for the role-playing aspects. But, I do like a streamlined and effective combat system. I’m just not sure that 4.0 improves enough on 3.5 to justify the expense and time that would be needed to make the transition. Fourth, the Players’ Handbook is missing some of the core classes but now includes the magic item descriptions. I think that the core classes should have been included in the book-as has always been done. Of course, this means that they can sell yet another book. Including the magic items in the Players’ Handbook goes a bit against the D&D tradition I grew up with: magic items are fairly uncommon and are gained by fighting foul beasts in the ruins of ancient kingdoms (or whatever). Putting them in the PH seems to send the message that magic items are just one more set of equipment to be bought. This does match the Warcraft approach of having characters piled high with magic items and having such items readily available for sale. Of course, some players like that approach. Fifth, now all the classes have what seem to be powers and such. While this does give everyone something to do every round, it does change the nature of the game. Also, the power approach makes the game feel more like a superhero game than a classic fantasy role-playing game. But, the powers approach is a popular one in computer games. Further, some players seem to enjoy having such powers and prefer that approach to the classic approach. I tend to model my approach more along the classic lines: the characters are heroic, but not super powered. I also like the old class system because it matched the classic fantasy genre of fighters, wizards and such. The new system does have classes, but they have adopted the video game style of giving characters and monsters roles like “artillery”, “brute” and so on. Sixth, the game has added minions. Minions are just like other monsters, except that a minion has 1 hit point and a special rule exemption for certain types of damage. I’ve never been a big fan of such rule exemptions (I like a consistent system). Despite always having 1 hp, a minion can otherwise be rather powerful in terms of armor class, damage, and so on. According to the rules, the minions were included to make players’ feel good by allowing them to slash their way through vast numbers of foes. While running large numbers of weak creatures can be a bit tedious for a DM, the 1 hit point approach seems rather odd. But, for those who feel better slashing through hordes of 1 hp creatures will love them. Seventh, the core races have been changed. I’ve always preferred the classic races to the freaky races that were added in later books, but some players really like the freaky races. In previous editions, this was because they tended to provide the character with better scores and powerful abilities. This is a matter of taste, so those who want to play demon spawn and dragon things can play them while those who do not can stick with the original races. Of course, the original races have been changed as well. Eighth, the monster manual is quite different. Many of the classic monsters are simply missing. The emphasis seems to be on freakish monsters. Apparently that is in. Again, this is a matter of taste. I prefer the classic D&D monsters and when I make my own, I try to fit them into the classic feel. I do like freakish monsters, but I put them in my Call of Cthulhu game. One of my friends said that D&D 4th edition is no longer D&D. In a legal sense, it is-WoC owns the game and can slap the label on whatever they wish. 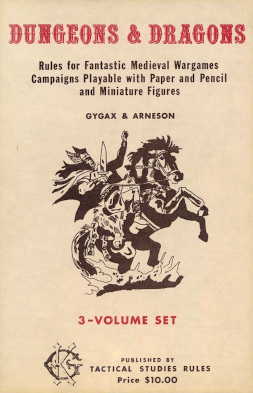 It is obviously not the classic style D&D and deviates far from even 3.5. My inclination is that it is not D&D in the sense that it has broken with what makes D&D the game it was. To be subjective, reading the books does not give me that D&D feeling. Whether this is for good or for ill remains to be seen.